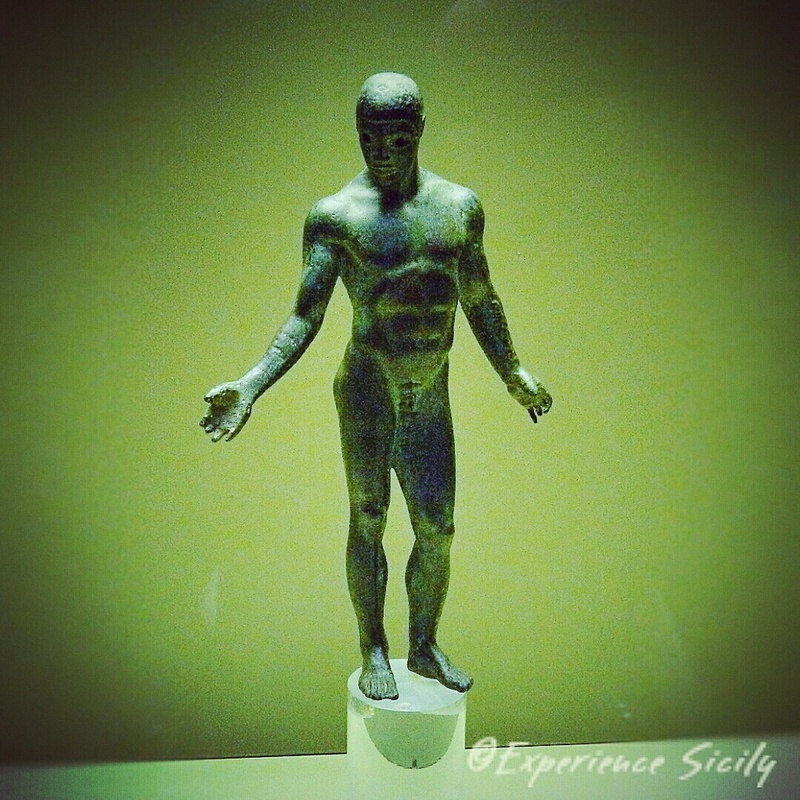 During antiquity, bronze was not a material that sculptors in Sicily used often, so when I come across a bronze statuette like this one of an athlete in Siracusa’s Museo Orsi, I take note. This statuette is from c. 460 B.C., and according to the information in the museum, it is called “The Youth (Ephebe) of Mendolito (an ancient settlement on the southwestern slope of Etna near Adrano).” The athlete’s pose shows influence from the sculptor Pythagoras of Reggio (Calabria). It is 7.6 inches or 19.5 cm tall and quite confident!